Steam/boil sweet potato and pumpkin until just tender. Transfer to a large bowl and mash roughly with a fork. Preheat oven to 180 degrees Celcius. Line large baking tray with baking paper and set aside. On a large plate, combine gluten-free flour and sesame seeds, set aside. Add drained tuna, egg, breadcrumbs, cheese, carrot and chives to mashed sweet potato and pumpkin mixture. Stir with a wooden spoon to roughly combine. Shape into 12 equal patties approx. 1.5cm thick. Lightly coat each patty in flour and sesame seed mixture. Heat a large, non-stick frying pan over medium heat. Spray both sides of each patty with olive oil. Fry patties in frying pan in batches (4-5 minutes each side) until golden brown. - Testing your tolerance to mannitol? Increase the amount of sweet potato used to 500g and omit Jap pumpkin for a moderate (amber) serve of mannitol. - Mix together ⅓ cup whole egg mayonnaise, 1 tsp wholegrain mustard and 1 tsp lemon juice for a delicious sauce to serve with your patties. - Cooked patties can be frozen for a quick and convenient lunch option that is perfect to take to work. Simply reheat patties in the microwave for 1-2 minutes until heated through and serve with a low FODMAP salad. - Entertaining? 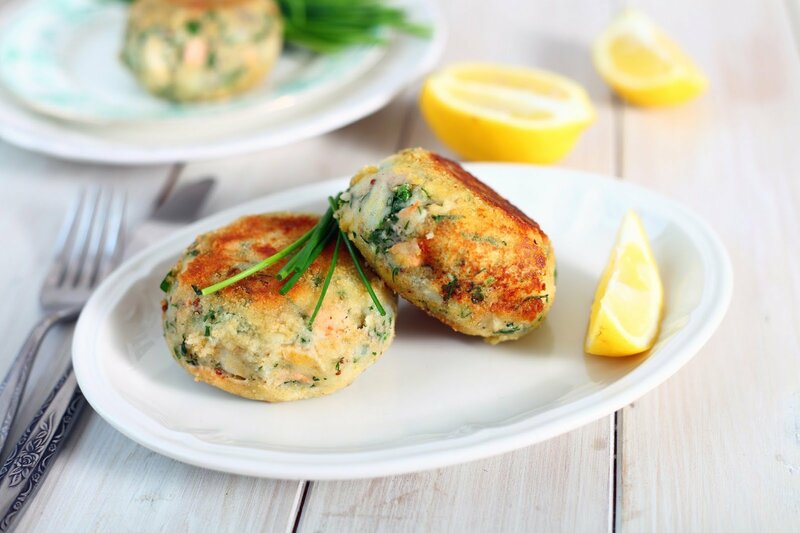 Miniature versions of these tuna patties make great finger food and are kid friendly!